Disclosure: I was given a complimentary copy from Zonderkidz through Schoolhouse ReviewCrew, in exchange for an honest review. 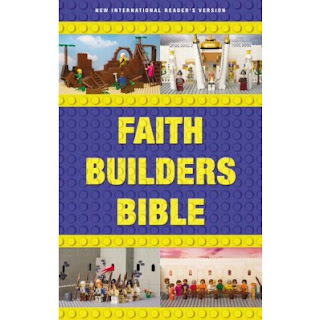 Zonderkidz Faith Builders Bible is an amazing way of combining the love of scripture with the love of brick-building. 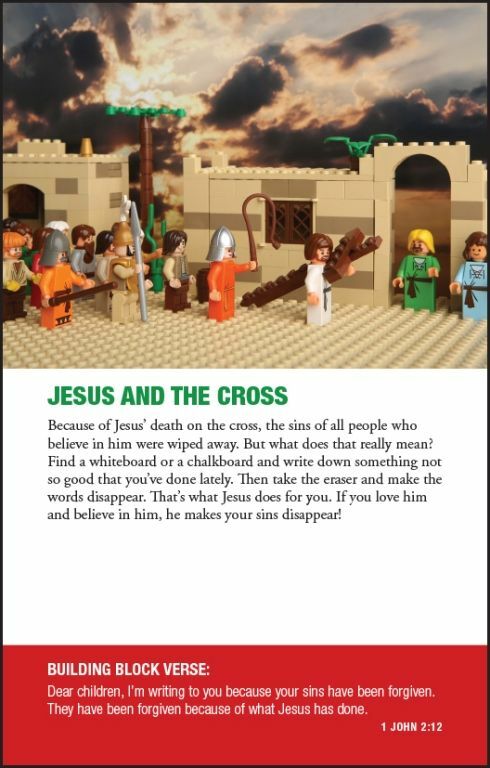 This Bible comes in the New International Reader's Version (NIrV), with over 20 pages of colorful illustrations. Each of the illustrations comes with a short summary of what the event is pictured, and a Biblical verse to reference. The back of this Bible also comes with a short dictionary and a suggested list of wonderful Biblical stories, and what pages they can be found on. This was our first New International Reader's Version (NIrV) Bible, and I am glad that there was a few pages to describe what this version is. It is actually based on the New International Version (NIV), but has been made easier for children and those learning to read to understand. Some of the words are shorter, and some of the names and places have been inserted into the scripture to make it clearer for children. There are also sections labeled in a chapter or a title given to a set of paragraphs to help the child know what the significance of that section is about. It is still accurate, as it was checked using the Greek New Testament and Hebrew Old Testament. 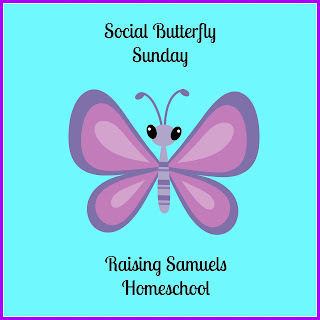 My sons and I have been studying the Old Testament so far this year in our homeschool studies. It was an exceptional time for us to receive the Faith Builders Bible because some of the pictures cover the stories we have studied, such as the animals of Noah's Ark, and the Ten Commandments. We also had an amazing time building the wall of Jericho out of building bricks, and trying to crash all of them down. This Bible is also versatile as it can be used with younger and older children. As a homeschool Mom, I loved that it has a dictionary in the back because you could use that for vocabulary lessons. I also enjoyed the quick reference guide for suggested stories. My sons thought being able to do a Bible lesson and make things with building bricks was pretty cool. The illustrations don't come with directions on how to build them. I was upset about that at first, but then I realized that the illustrations are there for visual aid. It gave my sons a chance to be creative, and build the scene or event the way they imagined it would be. There was much effort and time that went into making this edition of the Bible. It really does seem that the publisher, Zonderkidz did a wonderful job in picking this Bible to be a NIrV because it was meant to be viewed by children. It is ingenious that they combined this edition with illustrations of Biblical events, built with building bricks. I would definitely recommend this Bible to anyone who has a child that loves to build things with building bricks. How awesome would it be for a child to get to know the words of scripture because of this amazing concept of a Faith Builders Bible! Building bricks is not even just a boy thing anymore either! My niece asked for building bricks (in girl colors of course!) for both Christmas and her birthday last year. My sons love reading about Biblical stories and making things with building bricks, so this Bible has found a very special spot in our home. Hi, friends! 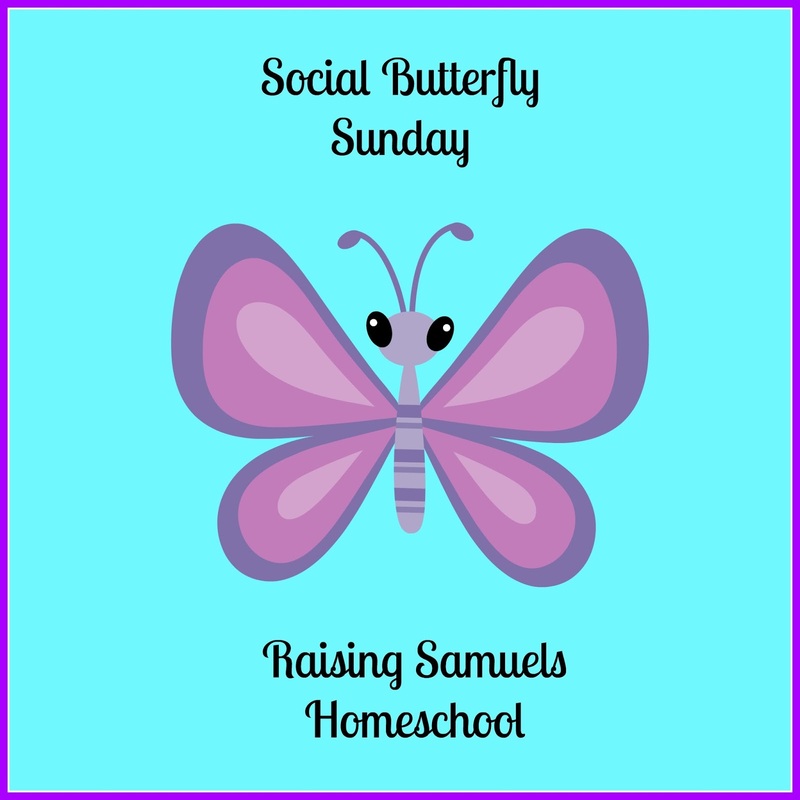 Welcome to Week #38 at Social Butterfly Sunday! Hope you all have a had a nice, relaxing weekend! I am excited to be doing something new this week at the link up. I was blessed with a wonderful book and curriculum for my sons, so I wanted to share with you an author who gifted these to my family. In 2001, Janis gave her life to Christ. She started journaling as a way to organize her thoughts, feelings, and prayers. She has been blogging since 2008. 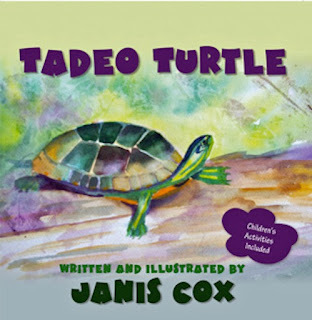 In 2012 she published an award-winning children’s book Tadeo Turtle. She ran a group blog called Under the Cover of Prayer for four years. Recently she joined Hope Stream Radio, an Internet radio station. Her talk Growing Through God’s Word can be heard each Tuesday. 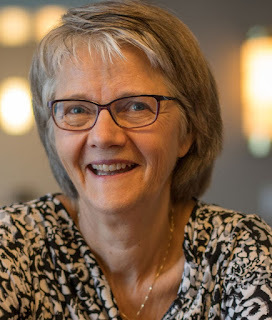 In addition to a career as a homemaker and teacher in the public school system, Janis was a partner in a Canadian small business with her husband, Wayne. They currently reside in Haliburton, Ontario, Canada and winter in Mesa, Arizona. Their family of three married children and seven grandchildren keep them active and enthused. Snowball, their maltipoo, is a fun loving ball of fur whose need for walks keeps them outside and exercising often. Recently, Janis graciously gave me a copy of her book and some amazing curriculum that goes with her beautiful book, Tadeo Turtle. She actually both wrote the book and illustrated the pictures. This book won the Best Children's Book in Canada in 2013. It has a fun rhyming scheme that children love, and my sons wanted me to read it to them again and again! It is a wonderful story about a turtle who doesn't want to deal with his shell anymore. He has an adventurous dream, and realizes he is perfect just the way God made him. As a Mom, I loved the moral of the story. My sons and I enjoyed the characters in the story and the illustrations are gorgeous. We also had some fun with the curriculum, and painting pictures of Tadeo. There is also some interesting facts about turtles, and my sons were able to point out some of the things they learned from reading this book. We saw an empty turtle shell on display at the library, and they knew what it was called and also referenced about a certain turtle that weighs 2,000 pounds! I hope you take the time to visit Janis' site and learn more about this wonderful author! Janis loves tell others about what God has done and is doing in her life. Please join her at Word of God Speak Facebook Group to learn more about memorizing Scripture through art. Please join her Newsletter and get the latest updates on her books, some fun recipes, and other interesting topics. 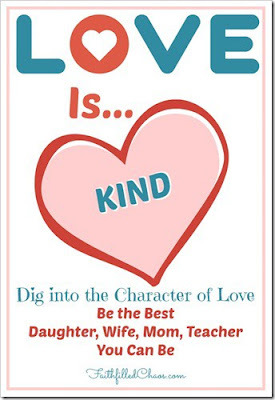 Congratulations to Catherine at Faithfilled Chaos for her post, Love is...Kind. Hi, friends! 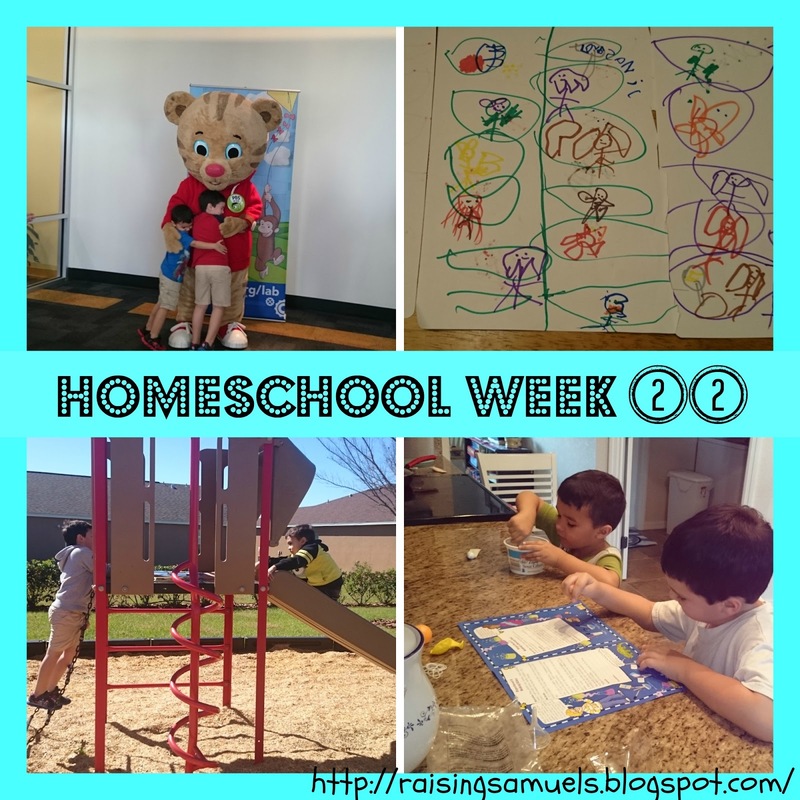 Thanks for stopping by to share our homeschool week! I am so glad I get a chance to write down what we do, because it always seems like I don't do enough until I see written what we have accomplished in a week. Do you ever feel that way? Monday - Today, we read about Exodus 3-4 and Exodus 5-10, about Moses and the burning bush. God spoke to Moses and told him tell the Pharaoh He is "I Am Who I Am" (Yahweh) and to let His people go. Plagues came to pass over Egypt, and yet Pharaoh would not let the people go. We also did a review of all the Biblical stories and characters we learned so far. Tuesday - We read about Exodus 11-12 and the death of all first born sons in Egypt, not to put the lamb blood over their door to protect the house and be passed over. We learned that Egyptians believed in many gods and goddesses, but how the truth is there is only one God. Thursday - Today, we read about Exodus 13-15 and 16-17 on God parting the Red Sea, and also how He provided manna from heaven to feed the people. Saturday - The boys and I read about the Ten Commandments today in Exodus 19-20, and God's Holy laws in Leviticus 1-27. 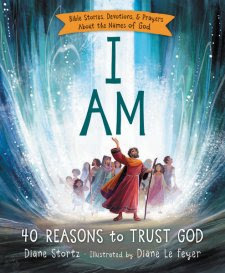 We also read about the meaning of Yahweh in the book, I Am: 40 Reasons to Trust God. Thursday - The boys did some STEM today as they played with some Hot Wheels track, and built the ultimate track. They had to learn the different angles so that the track would be supported where they wanted it to be, so that the cars would race around the track correctly. Friday - My sons love playing board games, and its a good way for them to practice their 1:1 ratio and counting each space. They love The Game of Life, so we played that today with Gamma. Monday - We learned the importance of sheep to the Egyptians because they provided milk, wool for clothes, and meat to eat. There were trade markets in Ancient Egypt, and how they only traded with other countries when there wasn't enough grain grown for that season. Grain was their most important crop because it provided means to make bread and beer. They also ate many vegetables, and mostly the rich people ate meat and fish. We also learned they believed in the after life, and we learned about mummies. 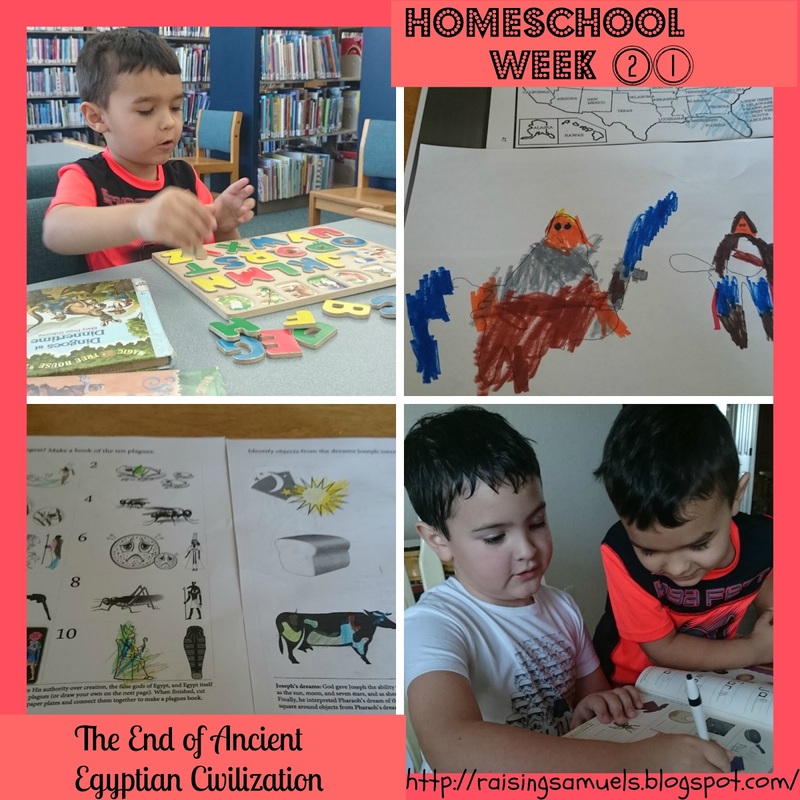 Wednesday - We read about Ancient Egyptian painting and writing, and also that they had a system of math and medicine. Thursday - Today's lessons were on pyramids, and the end of the Ancient Egyptian civilization. Monday - They had a fun adventure at our local library today. They did an experiment of sticking their hands in ice cold water, then they had to had to stuff shortening into a zip up bag, and then use another zip up bag as a glove. When they stuck their hands in this time, it was surrounded by the shortening, and they couldn't feel the ice cold water! They learned that many animals have what is called blubber to help keep them warm such as polar bears, seals, and whales. It was an awesome experiment! Friday - We watched the cartoon show of The Cat in the Hat Knows A Lot About That! (Season 2: Episode 1) called Jumping on the Moon. 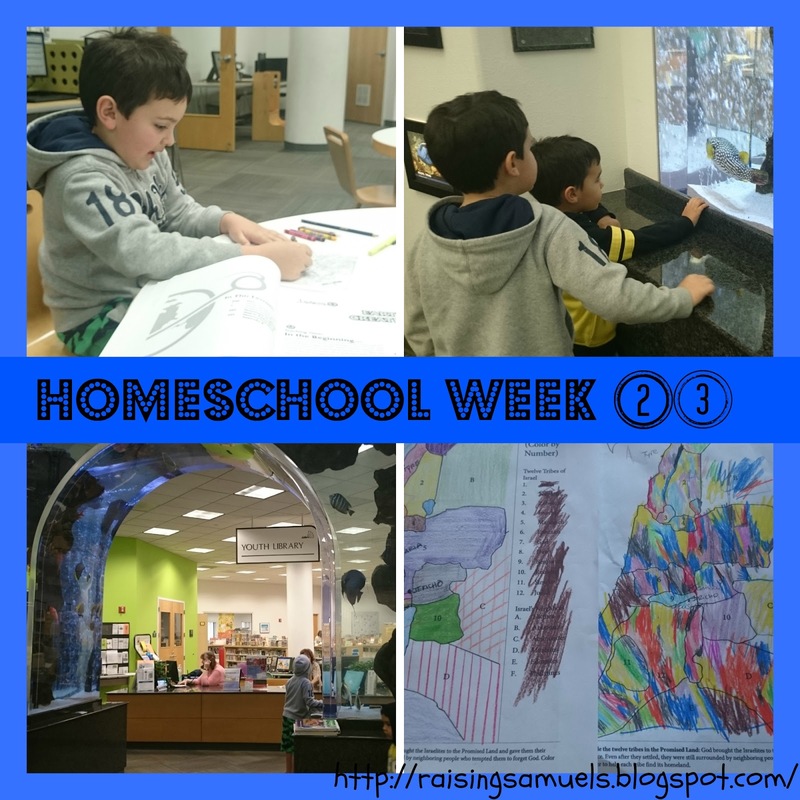 The boys learned about gravity, the moon, what astronauts do, craters, and moonwalk. Monday - G did an alphabet puzzle today at the library and told me the phonics of each letter. We also read Froggy Gets Dressed while we waited for the science experiment to start. Tuesday - B worked on middle sound phonics of words today and short vowel sounds in his workbook, and G did Lesson 14 in 100 Easy Lessons and learned to read the words see, seed, read, mad, sad, am, ear, at and the phonics of letter i. He also had to answer reading comprehension questions. Friday - I have been blessed to be able to be a part of the Schoolhouse Review Crew this year, and one of the reviews to come soon on the blog is The Dragon and the Raven (Disclosure: I was given a complimentary copy of this product in exchange for an honest review) We listened to CD 1 today and it is remarkable! It has amazing sound effects, great narration, and is a heroic tale with morals. B also worked on some more short vowels and middle sound phonics. Tuesday - B wrote his vowels, and G wrote the letters e and i.
Wednesday - B wrote his vocabulary words of the week which were pyramid, sarcophagus, locust, chariot, tabernacle, I Am, Aaron, and Joshua. Monday - At the library today, the other families there were also homeschool families so the boys got to play, learn, and talk with fellow homeschoolers. B also drew a Star Wars picture. Tuesday - The boys colored a sheet on the 10 plagues from Tapestry of Grace: Primer curriculum. Wednesday - The boys learned how to write their names in hieroglyphics from Tapestry of Grace: Primer curriculum. Thursday - We built a "pyramid" today out of chairs and blankets, and also attempted to make a pyramid out of Lego. Friday - We took a walk outside and B rode his bike.